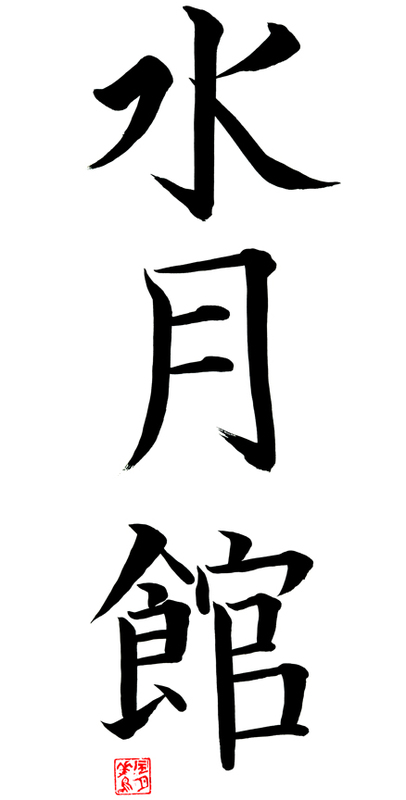 Suigetsukan is a non-profit collective martial arts dojo (training-hall). We teach and train in the traditional Japanese martial arts of Jujutsu, Aikido, and Battodo. Suigetsukan is committed to making martial arts more accessible to the public. Our classes are sliding-scale, nobody is turned away for lack of funds. We are dedicated to a supportive and integrative teaching environment as well as to the ongoing and committed practice of our arts, so that the artistry and valuable teachings of martial traditions will continue to be available to those who seek it. We work within the martial arts community, so that we may share knowledge and learn from one another. Operating as a non-profit collective, we all meet on a monthly basis. Suigetsukan translates directly as “moon reflected on water school”. Sui is the Japanese word for water, Getsu means moon, and Kan stands for hall. The word suigetsu comes from a Buddhist teaching in which it is said that regardless of where a pool of water is, however wide, or deep, or whatever color, the moon will always reflect in the pool as long as the pool is still. In the same way Suigetsukan Dojo will show students their own capabilities, provided the students are prepared to learn. Suigetsukan dojo was founded by Sensei Mike Esmailzadeh in 1991 in Berkeley. In 1993 the dojo moved to a warehouse in Oakland where it developed for ten years. In 2003, thanks to the hard work of the students and community, the dojo opened its doors at its current location.